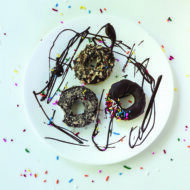 Mapping out a delicious comfort zone, where decadent cravings meet more nutritious food choices, Jessica Seinfeld’s new cookbook, Food Swings, shares win-win strategies that keep the author, her husband, Jerry, and their three children content and balanced. 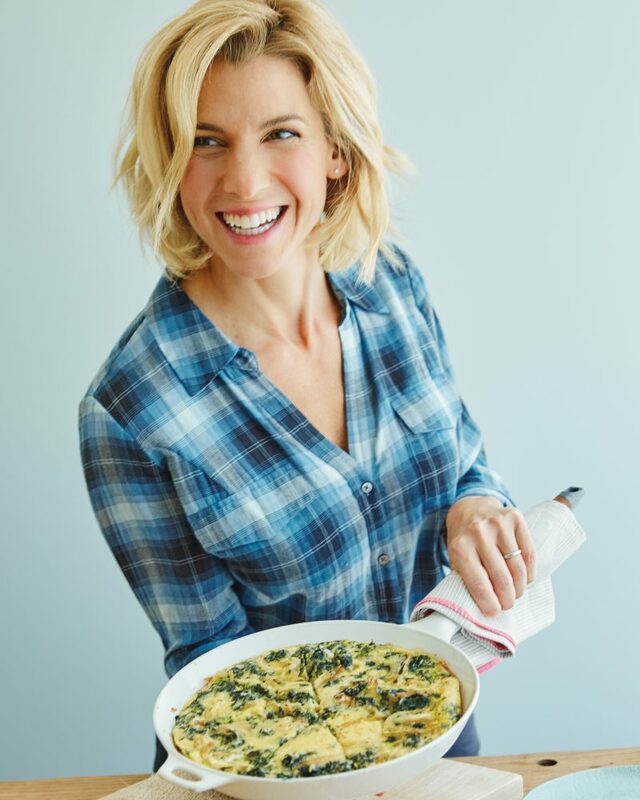 Jessica Seinfeld and her spinach frittata, from her latest and fourth cookbook, Food Swings. 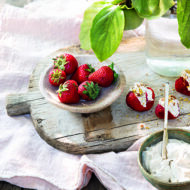 CRISTINA CUOMO: What inspired your new book, Food Swings? 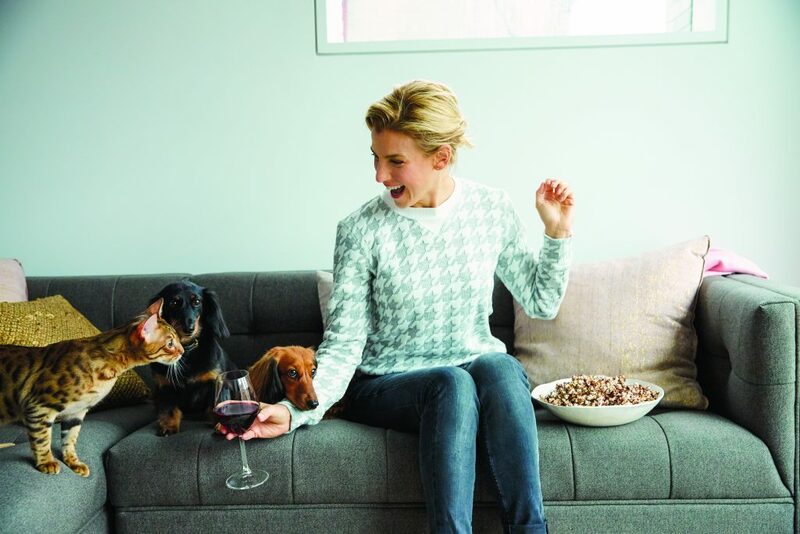 JESSICA SEINFELD: I created Food Swings to quiet the constantbattle in my brain—what I want to eat versus what I should eat. So, I crafted two books in one: the first half has recipes that leave you feeling virtuous yet satisfied, and the other half has recipes that are more decadent and feel like a party. This is my way of life, so I live between the covers of my own book. What was your aha moment, when you realized you loved cooking and knew you were good at it? When my roommates in college started to prefer what I made for myself, instead of ordering takeout. How have your food tastes evolved since your first cookbook? I have always cooked and eaten wholesome, simple meals made with just a few high-quality ingredients. As my kids get busier, and our schedules more complicated, that’s more important to me than ever. What’s your favorite virtuous recipe, and why? I love all the recipes in the Virtue section because they taste rich and delicious. I tried hard to make the recipes in Virtue meals you would crave, instead of feeling punished by. What’s your favorite vice food? In the city, I do my shopping at any of the following: Foragers, Zingone Brothers, my local grocer, where we buy as much as possible, of course Whole Foods, Chelsea Market and Eataly. When we are in the Hamptons, I go to Stuart’s for the freshest fish, Balsam Farms for vegetables, Iacono for fresh chickens and eggs. 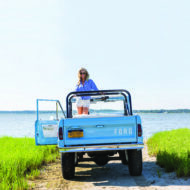 Other favorites include Provisions, Round Swamp Farm, and getting fresh fish at the docks in Montauk or wild sea bass fished off the beach. What’s the best meal to make for your kids where you can disguise the nutritious elements? You can hide anything in tacos, mac and cheese, and meatballs. If you worked at a bakery, what would you make over and over again as a vice food? I would bake pies and fresh bread all day long. Many would argue there is nothing virtuous to eat at bakery because of the gluten, flour and sugar. What’s the best cookbook you’ve ever read? I use Marcella Hazan’s cookbooks often and the Cook’s Illustrated website, magazines and books because they explain why things fail in the kitchen and teach you what not to do. Mark Bittman is also a trusted resource in basic, foolproof cooking. What foods for a healthy diet are your must-haves? Fresh vegetables and fruit, the deeper and richer in color the better. I don’t subscribe to the advice that there is too much sugar in fruit. Fruit and vegetables are medicine for our health. Since my diet is made up mostly of those, I feel free to enjoy nonessential foods when I want. Do you juice? If so, what is your favorite concoction? I drink celery juice every morning, based on the advice of The Medical Medium, Anthony William. I will blend spinach, wild blueberries with a whole orange if I am low on dark greens during a busy week. Do you prefer outdoor (grill, barbecue, clambake) or indoor (kitchen, stovetop) cooking? I grill vegetables and meat outdoors all summer long. Since I grew up on Long Island, it feels like a primal experience every time I get to stand by our grill in the Long Island salt air at twilight. Vegetables like zucchini, squash and onions grow at an alarming rate in our garden, thanks to that great Long Island soil, so I roast them until crispy almost every night of the summer. My kitchen is our favorite room, because it is where everyone congregates and hangs while I make dinner. We also have an excellent pantry. Any thoughts about a cooking show? 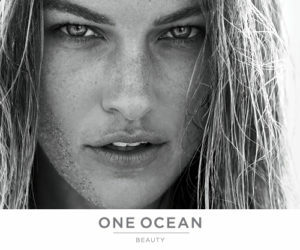 You should have your own! This may be the question I get asked the most. While I am honored every time I am asked, I don’t have any desire to be on television. It does not feel like my calling. What does feel like the work I was put on this planet to do is to run the GOOD+ Foundation. You’ve changed so many lives for the better. More than 16 years ago, I started an organization in New York City called Baby Buggy. My goal was to create a pipeline between families with outgrown and excess baby gear and clothing and families in need. Early on, we discovered that to really help a baby, you must help the parents first. Through our trusted partners, we began to pair our goods with transformational services and education for parents. Critical services, like getting parents into GED classes, financial literacy, vocational and job training, parenting and healthy relationship courses, getting them medical care and legal help, plus our much-needed gear, diapers and necessities, became our magic formula in supporting families living in poverty. It is the goods plus the services that change lives, so we officially changed the name to the GOOD+ Foundation in 2016. Since our inception, we have given out 30 million items to struggling families. Several years ago, we became focused on getting noncustodial fathers more involved with their kids. We knew that would make an impact on the financial stability of the single-mother led homes, which makes up 63 percent of the families we serve. For six years, we have been helping to build and strengthen fatherhood programs across the country, as this program is an integral part of GOOD+ Foundation’s future. I spray my shower with eucalyptus oil, turn on the water very hot, and let the steam and eucalyptus overwhelm my senses, as I sit there and try to ignore whomever is banging on my door. How will you be celebrating Father’s Day? We love to paint pottery with funny inside jokes for Jerry. And we always have Goldberg’s bagels and lox for Father’s Day breakfast, along with my buttermilk pancakes (the recipe’s in Food Swings). What are you really good at making? Thanksgiving dinner for 30. Jerry always says after our big meal that I look like I just left a spa because I look revived and refreshed. He would also say no restaurant serves better meals than the ones I make. He is obviously biased and slightly crazy, but I love and appreciate his enthusiasm.